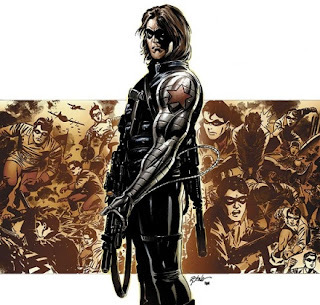 Bucky Barnes first appeared (March 1941) almost a year after Robin the Boy Wonder (April 1940). 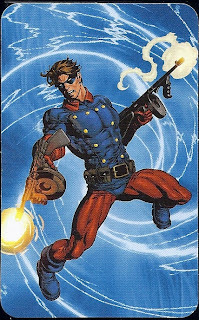 I mean c’mon, he’s a Robin rip-off, except he didn’t have a utility belt. Bucky and Cap fight the Nazis with their fists (well Cap had the shield too). It may sound ridiculous, but that was the 1940’s for you. 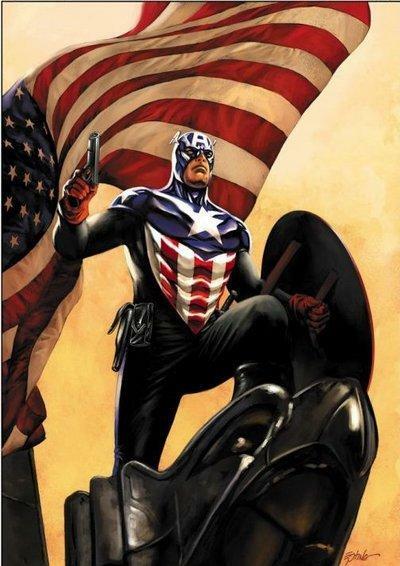 Flashback stories that were told from the 1960’s (Captain America’s rebirth) up until recent years continued that trend. 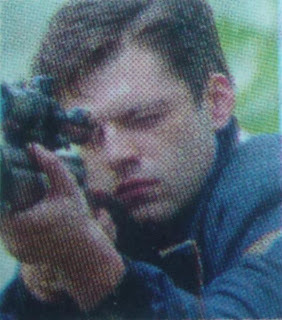 It wasn’t until Bucky’s “return from the death” in 2005 that guns were added. As the Winter Soldier, he was an assassin for the Soviet Union, so he had to use weapons. Now as Captain America, he continues to carry a gun (and a knife). 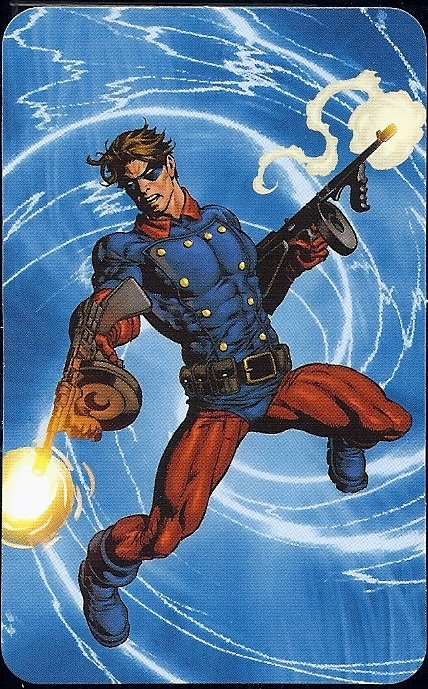 Even the flashback stories show him using all types of firearms.